Since Fabien knows Kuala Lumpur better than me now (yes my sense of orientation is horrible), they ventured into KL without me. So 7 French in KL, what would they do and what could happen? They went to visit the Petronas Twin Tower, the landmark of Malaysia. They took sometimes doing shopping. This time they chosed what they want to eat. An incident happened in between, that almost changed our plan for the entire remaining trip. However, thing got settle in a nice way and they managed to continue their journey. This time they managed to visit the Indian Temple. 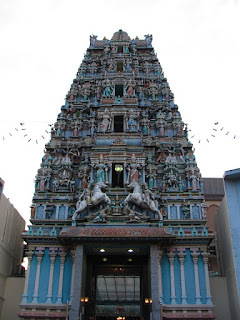 At this point they have seen the Buddhist and Taoist temples, the mosques and now Sri Maha Mariamman Kuil. 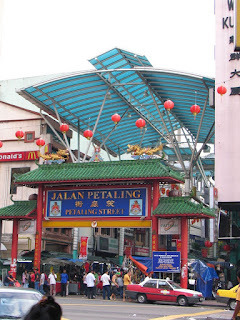 They can't have passed the famous Chinatown (Petaling Street), it's a must place to visit in KL. During the night we started the praying for Tian Gong Festival. My neighbore bought a roasted pig and later distributed it to friends and neighbores around. Fireworks again, remember the Chinese love noises. The festival finished at around 2am and we went directly to LCCT airport for our 7am flight to Kuala Terengganu. My brother and brother in laws were the assigned driver. It would be a turture to want them to sleep at 2am and wake up at 4am to send us to the airport. What is that twisted red stuff ? All yr pics are very well taken. The twin tower especially, u are a good photographer. Looks like both you and your family-in-law did a lot in Malaysia! 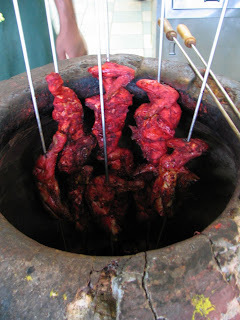 Jamy, it must tandoori chicken as they were eating Indian food. 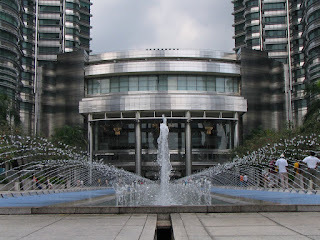 All of the photos here were taken by my FIL or friends who visited Malaysia. 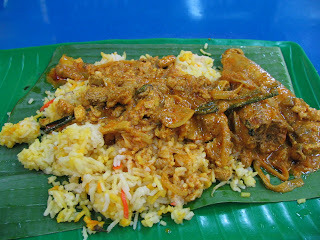 Yes we did a lot, but we still didn't have chance to visit Port Klang and miss out a lot of interesting places.